In order to grow the Aurum Project to ensure we are achieving our research goals, we need to ensure people know who we are and what we do, and find the people who share our values and choose to work with us. This can be another business, who we can promote in return for sponsorship and endorsements or individuals who become members and / or volunteer for us. We then need to rally teams of volunteers and members of the Aurum Project to help execute events and to co-ordinate and manage the research itself. Year on year we learn from what works and what doesn’t work. We are always referring to our objectives as a charity. Some events bring in donations and funding, and some are morale boosters, drum up support and spread insights into homeopathy. 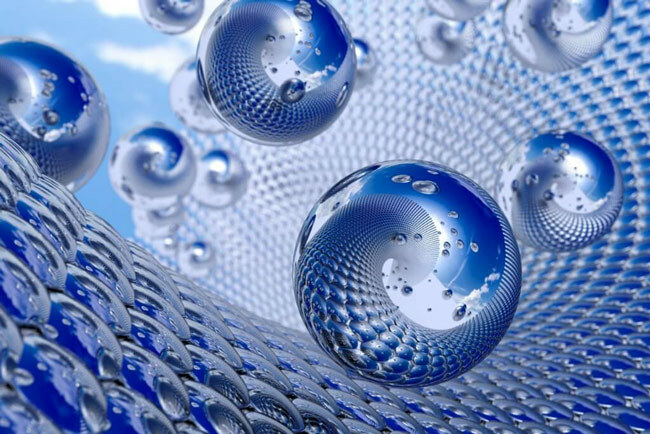 The Aurum Project continues to grow and make new inroads in research for Homeopathy. 2018 was a bumper year including several published articles in Similia Journal. With the appointment of our new Research Co-ordinator: Celeste Salter, we have also been able to develop and promote our latest research project, the National Homeopathy Survey. We again, collaborated with link Your Health Your Choice at the Mind Body Spirit Exhibition in Sydney and received over 2,000 signatures for the petition. It was wonderful to be part of the AHA Homoeopathy Conference and spend some precious time with our members, supporters, and to make new friends. On top of all of this we also reached 5,000 Followers/ Likers on Aurum Project’s Facebook page. This is testament to how many people globally know about the Aurum Project and the work we are doing in the field of Homeopathy. This number is growing significantly year on year. One of our major achievements for 2018 was the publication of the new Golden Book. This is The Aurum Project’s fundraising book as all revenue received from sales go directly to the charity and ensures we can continue working on research projects and promoting Homeopathy. The completion of the book is owed to the incredibly effective collaboration of many outstanding skills throughout the Aurum Project: the writing of articles by qualified practitioners, drumming up advertising to pay for the printing, beautiful hand painted watercolour illustrations, carefully picked article topics and layouts, and the detailed design work carried out for each page. The Autism Support Project was set up by Linda Beaver from the Newtown Homeopathic Centre in conjunction with the Aurum Project. This initiative was in response to the increase in ASD children and because parents are searching for answers in natural therapies. We bring affordable care to ASD children and offer partially subsidised or half price treatment for children diagnosed with ASD. We are now in the process of recognising practitioners from all states and territories within Australia for this project. Selected practitioners are recognised because of their experience and training in this field. They are fully qualified homeopaths and members of professional associations. This is one of our major homeopathy research projects for 2019. The set-up and recruitment launch took place in 2018. The National Homeopathy Survey’s goal is to understand the diversity of practice for professional homeopaths in Australia. The study is being conducted by the Aurum Project. The data collection period is a 2 month period starting January 28th 2019 ending March 22nd, 2019. It is vital for us to ensure our members feel connected and valued. We try to make the optimum amount of contact and offer many valuable benefits. AUTISM: Homeopathic Treatment as an Adjunct to Neuropsychological Therapies. Dr Rajalakshmi M.A. AUTISM: Homeopathic Treatment as an Aid to Inclusive Integration of Children. Dr Rajalakshmi M.A. AUTISM: New Dimensions in Treatment of Autism with Homeopathy. Dr Rajalakshmi M.A. What Did The Aurum Project Undertake in 2018? April 2018 – We launched our fundraising Book Barn online. Now anyone can view our range of new and preloved books kindly donated. The proceeds of these book sales go directly to The Aurum Project. May 2018 – The Aurum Project received a stand at the Mind Body Spirit Festival in Sydney. We used this opportunity to capture over 2,000 signatures for the Your Health Your Choice Campaign. Thanks again to our team of volunteers who worked tirelessly over the 4 days of the festival. June 2018 – We were lucky enough to secure a charity stand at the supremely busy Warringah Mall in Sydney. This was a great opportunity to talk to local families to spread awareness of Homeopathy, and to carryout some fundraising. August 2018 – We were generously donated a meal for 10 people at the sumptuous Havana Beach Restaurant Manly. So we decided to treat some of our wonderful volunteers who had given up their time to run the stands at MBS and Warringah Mall. October 2018 – We had a blockbuster stand at National Homeopathic Medicine Conference – Where we could meet and catch up with Natural Health Practitioners from all around the world. We learned about some of the latest developments in homoeopathy. October 2018 – The launch of the new edition of The Golden Book. Featuring articles about healthy living, natural remedies, beautifully designed and illustrated and for sale NOW at HHC and in the Book Barn. Income received from the sales of this book go directly to The Aurum Project. October 2018 – The launch of The Autism Support Project. Linda Beaver, presented at the Homeopathic Medicine Conference. Her topic was : Analysis of Cases from the Autism Support Project. The team were thrilled to receive so much positive feedback about Linda’s presentation, the national launch of the Autism Support Project and the latest research on Australian children on the autism spectrum. 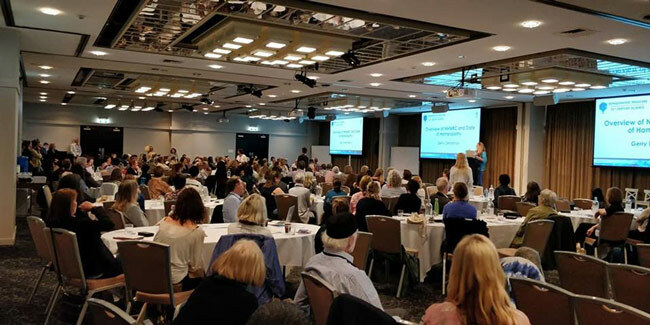 October 2018 – The launch of The National Homeopathy Survey, conducted by The Aurum Project – The goal is to understand the diversity of practice activity for professional homeopaths in Australia, including the demographics of patients, as well as the conditions treated and remedy prescriptions made by professional homeopaths. December 2018 – The Aurum Project is a successful recipient of the AHA Research Grant for 2018 – This is to go towards work carried out on the National Homeopathy Survey. December 2018 published “Plausible Homeopathy – Science on the Edge” article on the blog discussing two different paths of scientific evidence for homeopathy, presented at the National AHA Conference by Dr Tournier and Dr Rajendran. This article had 880 shares via Facebook and 2.02K shares from the Aurum Project blog. 12 Connecting Homeopaths (Online meet-ups) facilitated by The Aurum Project. 12 Emailed Newsletters – Each month keeping Aurum Project newsletter subscribers up to date with projects, research and blogs. So to conclude, 2018 was a great year for us as an Australian charity but also as a homeopathy research charity with the aim of conducting research into natural health and homeopathy.